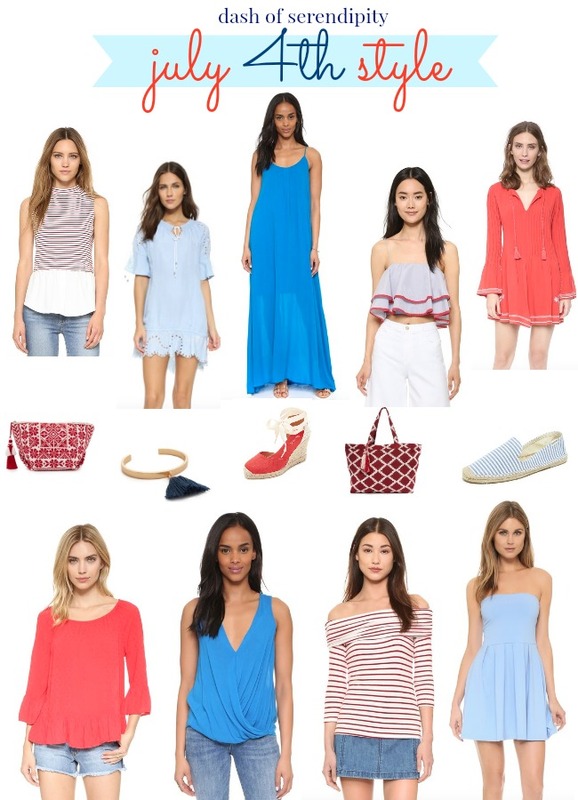 It's almost the fourth of July, which means you can break out all the red, white, and blue in your closet. The three colors together make one of my favorite color combos, and I would be lying if I said I didn't sport this all year round, but next Monday I can really amp it up. Fun fact: my school's colors are red and blue so I am always on the hunt for any red or blue sundress for football season! I purposefully picked items from shop bop because with amazon prime, you can get these items in just 2 days. Speedy fast shipping totally makes it my favorite place to shop (as if I haven't praised it enough on this blog already). I originally planned to post this a few days ago, but I have been having computer issues and finally was able to borrow a family member's laptop. What will you be wearing on Monday? Love all of your picks! So fun for the Fourth of July. I'll be at the lake, so I'll be wearing a simple tee and chino shorts. Thanks, Ashley! Sounds like a cute outfit! Enjoy the 4th! That sounds like such a great outfit, Victoria!